Samples of commercial gelatine were prepared and evaluated following recommendations from the Gelatine Manufacturers of Europe (GME) Monograph 2004 and ISO 9665. Gel strength is used by the world’s gelatine producers and end-users as a key quality indicator. 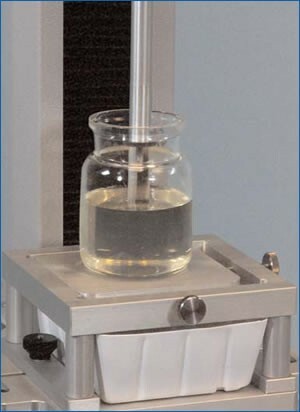 The functionality of gelatine is directly influenced by its strength, when prepared in accordance to the gelatine Bloom test. The Bloom value obtained is dependent upon sample preparation and evaluation. As higher Bloom values mean higher prices, the industry self-regulates itself. This helps guarantee accurate measurement of Bloom strength between the laboratories of customers and suppliers. 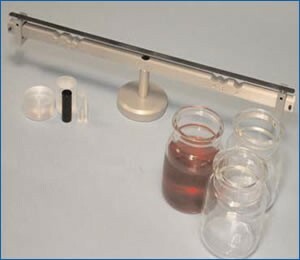 Standard guidelines for sample preparation and gel strength measurement are fully established and enforced by the relevant geographic manufacturing bodies. The gelatine samples supplied were evaluated following relevant European recommendations for the concentration, preparation and tempering of gelatine gels. The rigidity of the prepared gel was then tested with the AOAC 12.7mm diameter probe with no radius as per GME recommendations, July 1998, following traditional puncture principles. Bloom - Optimisation of ingredient functionality and blend characteristics to the edible gelatines and industrial markets. Strength - Raw material control and quality payment between manufacturers, customers and processors. Elasticity / Modulus - Product formulation and development to gain maximum functionality from gelatine used.